Born a California girl, Elisa is truly a Floridian at heart since moving here when she was only four years old. Elisa has been a part of the McCabinet family since 2014. She has been assisting Mike McBrayer in all of the designs for new homes in the Tampa Bay area. 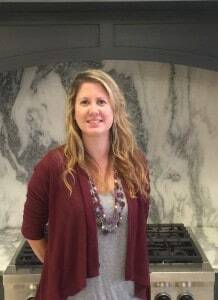 Before coming to McCabinet, Elisa spent almost 10 years in event planning, creating her client’s visions into reality. Elisa is a natural born problem solver that is eager to tackle any obstacle. She feels that the sooner you take a positive approach the sooner you will get a positive solution. One of her favorite aspects of design is when her clients get excited about their ideas and break out the Pinterest and Houzz photos. Elisa instantly gets eager to begin designing their dream spaces. Elisa likes to spend her free time with her family doing many fun outdoor activities such as kayaking and hiking.